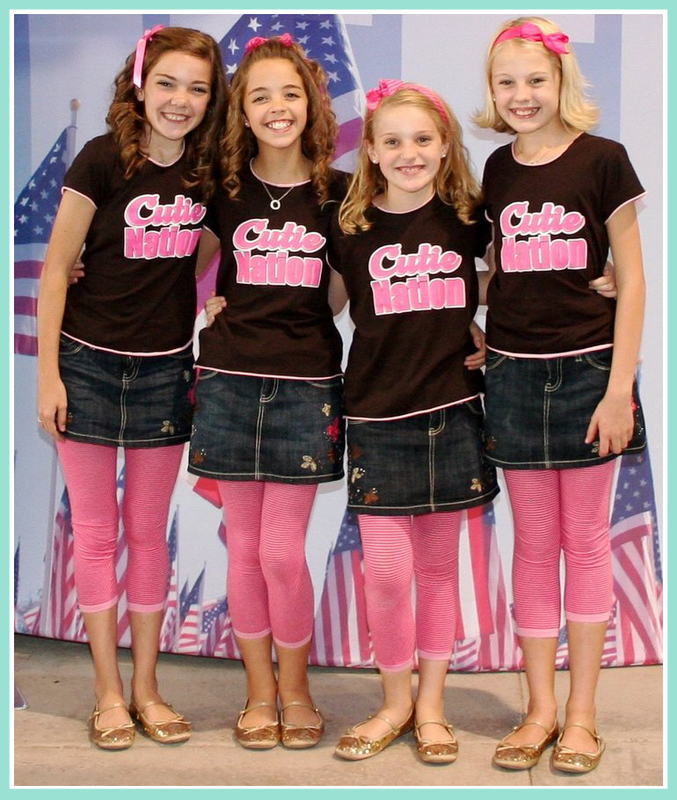 The Cactus Cuties, a young vocal group featuring Andi Kitten, Baylee Barrett, Blaire Elbert and Madeline Powell, gained national acclaim due to their YouTube viral video performance of Terri Caldwell’s Star Spangled Banner arrangement at a Texas Tech Lady Raider basketball game in 2008. These young ladies ages 10, 10, 12 and 9, all students of Terri Caldwell Music, were organized, tutored, directed and mentored by Cami Caldwell. This incredible youtube performance lead to numerous national TV appearances, performances at NFL, NBA, Major League Baseball games and a special performance at the White House for President and Mrs. George W. Bush. During the period of time the Cuties performed, they recorded a DVD, CD, EP, released a children’s book “Oh Say Did You Know” and produced t-shirts, caps and made available sheet music for Terri’s National Anthem arrangement. Some of that product is still available and can be purchased by going to “Store” on this website. The Cuties are all grown now and pursuing their individual dreams and careers. Terri and CamI continue to mentor and direct young talent and own and manage Caldwell Kids Entertainment with over 100 students year round. They continue to organize, train, produce and record cutting edge vocal groups and solo singers of all ages. Caldwell Kids students continue to appear on major concerts, TV, radio, theatrical productions, music videos, CDs, commercials, sports events and bring attention to the value and beauty of West Texas performers throughout the country. The latest recording featuring the Caldwell Kids will be released in the fall of 2017. It is a multifaceted Contemporary Christian CD which is destined to be noted as one of the best compilations of children’s vocal performances in the industry to date. More information to come!!! Thank you for visiting the Cactus Cuties website and hope you enjoy the trip!! !